When I reviewed Gabriel Cox’s debut album a couple years ago, the first thing I said that you’re going to notice is that this man can sing. Does that bear repeating? Cox is a natural singer whose voice is filled with so much soul and emotion that it can make you feel it coming directly from his heart. And it only is one part of this amazing young performer’s musical vocabulary as you have to note his guitar playing and the incredible songwriting talent he also posseses. 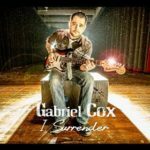 Gabriel Cox has now released his sophomore recording, I Surrender. He opens the disc with perhaps his most renowned tune in a updated take with “Willie Brown II.” This is a mostly an a cappella number that finds Cox not only using a stomp-box to bring out the rhythms, but in fact a whole box, upon which he stands and stomps. It is a highlight to witness at his performances and this time he brings in a huge supporting cast behind him. If there’s any way possible to surpass the original take of this song, he has done just that. Did I mention the supporting cast behind him? 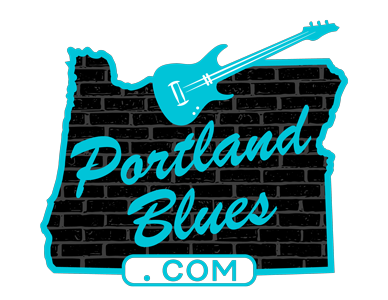 Well, most of them hail from the Salem base area that Cox calls home, but he has brought in some heavy hitters, too, including Eugene’s Hank Shreve on harmonica and Portland’s Rae Gordon adding her instantly recognizable voice. Other artists include Jarred Venti, Brandon Logan, Derek Jones, Nathan Olsen, Jason Carter and vocalists Miranda Vettrus, John Pulvers, and his father Mark Cox. All shine highly throughout the album. The songwriting once again excels with immediate noticeable standouts like “Best That I Can,” “Your Touch,” his duet with Miranda Vettrus on “This Love,” the frenetic pace of “Fever,” and the heartfelt passion emoting from the closing number “I Surrender.” Even though Robert Johnson’s masterpiece “Come On In My Kitchen” is not an original, it has been given the Cox treatment, totally making the song his own. I Surrender is a roots album of extraordinary merit. Gabriel Cox has a lot of himself inside his music and it reflects his blues in his own manner. I said it before, and I am saying it again, Gabriel Cox has the magic. He is pure alchemy. There’s gold dripping from his fingers when it comes to talent and songwriting. His time is now. He is an artist that deserves to rise to the very top. Another outstanding release from somebody that we’re sure to be seeing a lot of for a long time to come.